Floods, PlayStation price cuts, and foreign exchange rates may be to blame for a terrible financial quarter (and year) for Sony. Despite generating $23 billion in revenue from the period spanning October to December of 2011, Sony has officially posted a financial loss of $2.03 billion. The loss includes a $1.09 billion loss by the company's Consumer Products and Services division, of which PlayStation is a part. Adding this to the losses Sony suffered during the rest of 2011 now puts the company's projected annual loss at about $2.9 billion (the fiscal year ends in March 2012), making this the fourth year in row that it's lost money. So how did this happen? Sony claimed its sales dropped "significantly" because of floods in Thailand, "deterioration in market conditions in developed countries" and "unfavorable foreign exchange." It also claims that its reduced sales (down nearly 25%) came from the PlayStation 3 price cut, combined with unexpected marketing costs. Still, 6.5 million PS3s and 66.2 million PS3 games were sold during the disastrous quarter, which account for a hefty percentage of the fiscal year's 12 million total console sales and 129.7 million games. To put that in perspective, the company has sold 62 million PS3s since its release in 2006, and 568.1 million games. 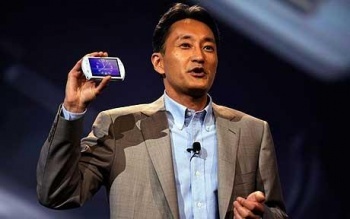 The news comes significantly close to the recent announcement that Kaz Hirai will be replacing Sir Howard Stringer as CEO and president effective April 1 (the first day of the 2012 fiscal annum), and as big of a company as Sony is, the new top banana thinks its gaming division will play a large role in turning things around, stating, "The path we must take is clear: to drive the growth of our core electronics businesses - primarily digital imaging, smart mobile and game; to turn around the television business; and to accelerate the innovation that enables us to create new business domains." "The foundations are now firmly in place for the new management team and me to fully leverage Sony's diverse electronics product portfolio, in conjunction with our rich entertainment assets and growing array of networked services," he went on to say, "to engage with our customers around the world in new and exciting ways." Hopefully Hirai has more up his sleeve than a Scrabble bag of business-speak if he wants to keep one of the largest electronics companies in the world from posting a loss five years in a row.